Collaboration is a hot topic in the humanities. Unlike in STEM fields, where co-authored articles and projects involving the work of multiple researchers are the norm, collaboration is still fairly exceptional in the humanities, and finding time and resources to seriously pursue collaborative projects is a rare luxury for academic humanists. As the humanities continually seek to publicly reinvent themselves and, in many cases, justify their right continue existing on college campuses, collaboration has become a buzzword. It’s one of the five core skills that the American Historical Association believes history PhDs should cultivate when moving beyond tenure track careers. It’s an integral part of the innovative graduate training going on in UCLA’s History Department, where one graduate student reported gaining a both a “sense of agency” and increased “humility” by practicing collaborative work. The National Endowment for the Humanities offers Collaborative Research Grants, and Brown University offers a graduate certificate in collaborative humanities. These are just a few examples of a growing trend. To my mind, an ideal humanistic intellectual space is always collaborative and full of productive disagreement that brings enrichment, even if it does not always change minds. But in reality, the brutally competitive market for humanities jobs, postdocs, and grants often results in an atmosphere marked by insularity, suspicion, and self-interest. Collaboration becomes extra challenging under conditions where scholars must pour significant energy into solitary work in order to succeed professionally. Academics practice a sort of ritualized exchange when they first meet, asking each other, “What do you work on?”—or, more commonly in field-based disciplines like anthropology—“Where do you work?” We begin practicing these interactions the moment we arrive in our graduate programs and continue to refine them throughout our careers. Having a unique and well-rehearsed response can feel downright constitutive of one’s identity as a person. But what should “our work” be for us as individuals? As communities? As academics and citizens and parents and colleagues? What is the relationship between one’s work and one’s politics? In academia, the answer to this question is often taken to be a given. Of course your work on student movements in the 1960s has political significance; of course your work on 19th century slave memoirs holds political weight. But I want to interrogate the politics inherent in the work process. To get where I’m going, I want to talk about collaboration—both in practice and in theory. Working at UCHRI is an exercise in collaboration. We uphold it as a central part of our mission, we give grants to promote it across the University of California system, and we practice it daily in our work. This type of cross-pollination will be familiar to faculty, but the real effects of daily collaboration are often subsumed by the process of academic labor and swallowed up by its products. We’ve all read acknowledgements and footnotes that attribute an idea to a conversation or a conference panel. We all know that ideas are not born in a vacuum and that every piece of scholarly writing has been shaped by countless hours of reading and discussing the ideas of others (and ideas about those ideas) in seminars. It’s really cool for an academic to humbly nod towards those contributions while still endeavoring to emphasize the originality of their work. Cooler still to craft a personal style, a brand even, a set of ideas and theories, to stake claim to a particular spatial-temporal-rhetorical territory around which to build “my work.” Mastering this craft is necessary if one wants to get (and keep) a faculty position. Collaborative work not only offers little incentive in terms of advancement in the humanities, it removes the possibility of receiving accolades for one’s own individualized brilliance. It forces one to cede to the opinions and views of others at times, to push for one’s own vision within an intellectual zone circumscribed by the ideas and visions of others. It can be difficult to make this transition from academic worlds in which one’s ownership over ideas, styles, regions, time periods, and theories definitively makes or breaks one’s career. Often, in that fiercely competitive world where it seems nothing is new under the sun, all you have are your words. One of the many reasons I decided not to pursue the tenure track was that I wanted to spend more time working directly with others and less time with my nose buried in books in the service of my own research interests. 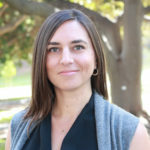 Towards the end of my doctoral program, I found myself energized by the public humanities work I was engaged in as an intern at my state humanities council, and in the dean’s office at my graduate school, where I helped implement a Mellon grant on rethinking the humanities PhD for the 21st century. Both the process and the content of that work, I found, breathed life into my stagnating dissertation-writing process, and reminded me of values, aptitudes, and talents that had been muffled by the pressure and often crushing solitude of “my work” as an academic. As I wrote this essay, I was eyeing a series of notifications from Google Docs: my boss was editing a call for proposals I had written. While the text had already been heavily edited by other colleagues, there were bits and pieces I had come to consider “mine.” I had to close the document, as it was too awkward to watch the edits in real time (not to mention I didn’t want to give the sensation that I was digitally breathing down his neck). I trusted that the final version would be better, stronger, and—most importantly—truer to the vision of my workplace. The perspective of multiple people with divergent experiences, backgrounds, and expertise now inform that call for proposals. The small concessions made by individuals, the necessary quieting of the ego, the openness to think differently or to have your mind changed via exposure to radically different perspectives—to me, these are the values of the humanities. These speak to the inherent subjectivity in much of our work, which I would argue is one of its great strengths. A true commitment to collaboration might mean a renewed exploration of the values that made us humanists in the first place. Do we not tend to lift up the stories of the oppressed, to shed light into society’s dark corners, to encourage openness to diverse perspectives and alternate readings? Why then, does the work at the core of what we do continue to insist upon the elevation of the individual, the showcasing of ideas presented as if they sprung fully formed from a single mind? And what, really, is the political impact of these ideas if they are presented in forums and formats that only a handful of people (almost invariably other academics specializing in a similar field) will read? Perhaps a sentence, lovingly but critically dissected, deconstructed, sutured back together, holds the essence of how a politics of egalitarianism, of artistry, of cooperation, can re-enter and reanimate the work of the humanities. It’s about time our work reflects our politics, and collaboration may be one small step down that path.